Can You Copy Someone Else’s Plastic Surgery Look? Although you are more than welcome to get your inspiration for your plastic surgery look from anywhere, it should at all times remain an ‘inspiration’, and not a conviction that you would like to copy the exact same look that some else has. There are a number of reasons why this will surely not work out well in the end, but perhaps one of the most important reasons is that you are an individual that cannot be copied by anyone else, and no one else can copy you. Before you even attempt to understand this, take it as a very positive reassurance that you are a unique person, and that whatever you decide that you would like to change about yourself should still only be done in a way that will reflect who you are and not who someone else is. Regardless of what anyone else tries to tell you, plastic surgery cannot make an exact copy of someone else’s procedure on your body, because they are two completely different bodies. This should go without saying, but some of the many things that affect this are body shape, skin condition, general health and bone structure. Additionally, the way that a plastic surgery procedure heals after it has been done will also be very different among different people, which is another reason why you would never be able to get the same results as someone else. In light of this information, always bear in mind that you should try to adapt every procedure in a way that will best suit your body type. Luckily, this is something that your surgeon will already know and will likely warn you in advance if you describe your ideal procedure as ‘I want to look like this person’. If you have come across someone who you feel has had the perfect plastic surgery makeover done and you wish to emulate it, the best thing that you can do is to note down the changes that most appeal to what you would wish to achieve. To begin with, you may not even need to do the same procedures because it is very likely that what someone else found unattractive about themselves is something that is already perfect on you and does not need to be changed at all. Before you decide that someone else’s look is perfect, compare the way that your body already looks to the one that they have achieved with surgery. You are likely to already have features that resemble something that they needed to surgically change, in which case there is no reason for you to do anything about them. Someone else’s Korean eye surgery may have turned out to look the way that your eyes already look, or as close to that as possible, in which case you should cherish your eyes rather than immediately try to change them. If, however, you do find something on the other person’s body that you would absolutely love to have a copy of, here are a few things that you need to consider first. 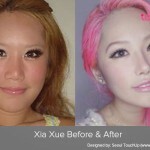 Have a look at the features of their body that are surrounding the area where they have had plastic surgery done. How similar are they to the features that are present on your own body? The more your own features differ the less likely it will be for the procedure to look the same on you, if at all. Even the smallest of changes can have a huge impact on the outcome of your appearance, and will it turn look very different on you. Take also into consideration their age, how much money they spent on the procedure, and whether or not this is final look that they wishes to achieve, or will they also wish for further procedures to be done in the same area? These are all things that patience who find someone who they would like to look like do not take into account. Your plastic surgery journey should be one that is inspired and planned entirely based on the things that will make you the happiest and that will bring your body to its full potential. If you don’t really have ideas of your own on how you can achieve this, then use other people as a sort of canvas on which you can build upon. But not in its entirety. The only way that you can achieve a great results from someone else’s look is if you really get down to the smallest of details on someone else’s appearance and choose those as areas that you can apply to your own features as well. So instead for wishing for someone else’s nose, look carefully at the shape of their nose and pay special attention to the lines that make it. Perhaps it isn’t the entire nose that you would like to copy but only the shape of the tip. Or perhaps you want your lips to be somewhat fuller in order for them to look more plump, but you may not need to get a full complex surgery done that someone else used to make their lips look fuller. These small changes are especially effective for facial plastic surgeries, where even the smallest of changes can make a big difference and show great improvement. The whole point behind plastic surgery isn’t to go big and make huge changes, especially if they are not needed, but to choose procedures that will give you improvement without actually changing who you are as person. Sadly, many people take the more extreme route and still don’t end up satisfied precisely because they did not think the entire thing through. Instead, they picked procedures that sounded like a good idea and often failed to follow the surgeon’s advice. Steer clear from such rash decision and embrace the advancements of plastic surgery without changing who you truly area. Walking around as an imitation of someone else will not make you a more appealing person. In fact, it will make you look and feel lost in this world, and will take away your own unique voice. Regardless of whether you are thinking of a small procedure or you decide to go to Korea to have Korean plastic surgery done, it must always be a decision that will ‘adjust’ you to a body that you will like, and not change you as a person. You should also pay attention to the doctor that you have chosen to carry out these procedures. A true professional will not need an image of someone else to show you which parts of your body could be enhanced to make you look better. In fact, if a surgeon doesn’t make any motion to talk you out of completely copying someone else’s style, then they are not the right surgeon for you. They must offer you advice not only about the actual procedure but also about how it will affect your life in the future once everything is healed. And you can also be sure that a true professional will never try to convince you that they can indeed make you look exactly like someone else. Your individuality is the most important thing that you should take out of your plastic surgery journey. Find a way to make yourself feel more comfortable in your own skin without the thought that someone else is needed for you to achieve this. You may also fail to realize that just because someone has the features that you are hoping for doesn’t mean that they themselves are happy with them. Everyone has something that they dislike about who they are, but they will never be the same as another person’s woes. So stay true to yourself an allow plastic surgery to make you better in the body that you already own.